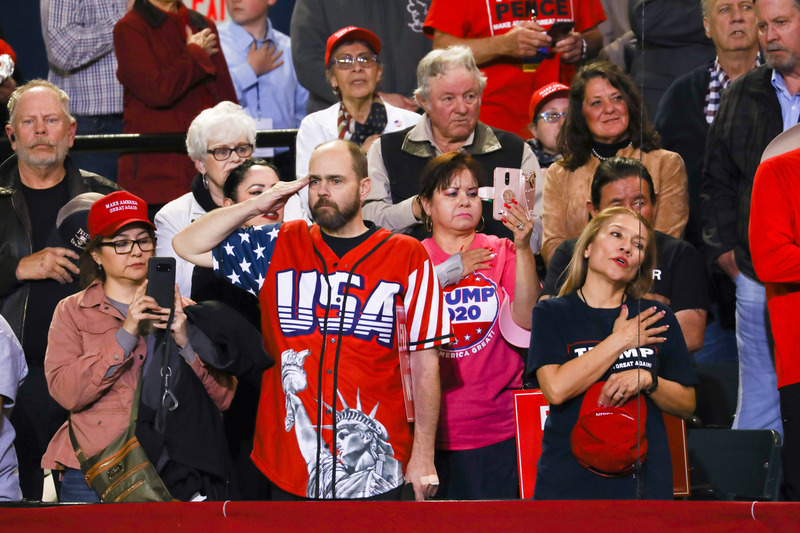 At a February MAGA rally in El Paso, Texas, roughly 30,000 people registered online with 8000 inside the El Paso County Coliseum and tens of thousands watching the event on screens outside. According to RNC data, an estimated 70 percent of attendees were Hispanic. 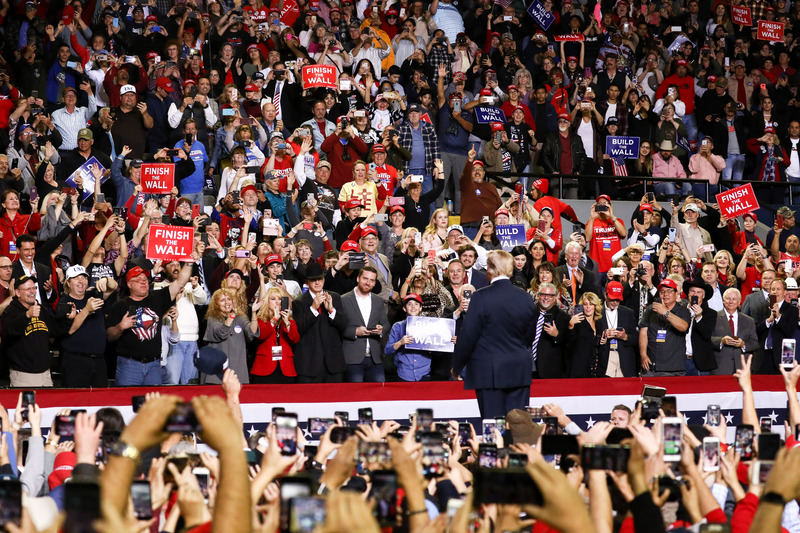 Trump 2020 campaign manager Brad Parscale said at the time that Latino support of the president has been something that’s been overlooked. 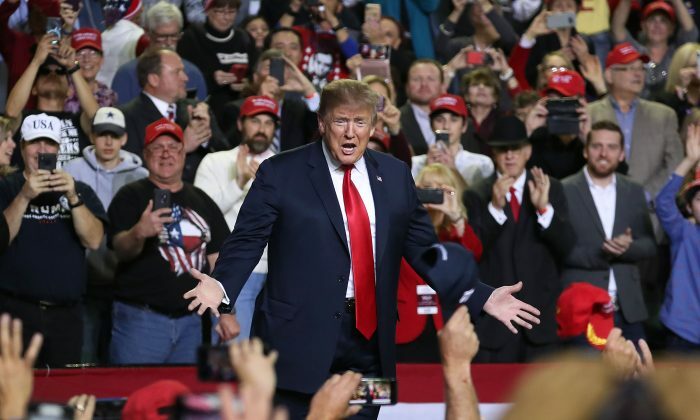 An earlier Marist/NPR/PBS survey poll conducted in December last year found that Trump approval rating among Hispanics was at 31 percent, meaning Trump’s January 50 percent approval ratings marked an increase of 19 percent. The jump in numbers caught the eye of the president, who argued that the survey’s findings reflect how important the border wall along the southern border is to Hispanics. 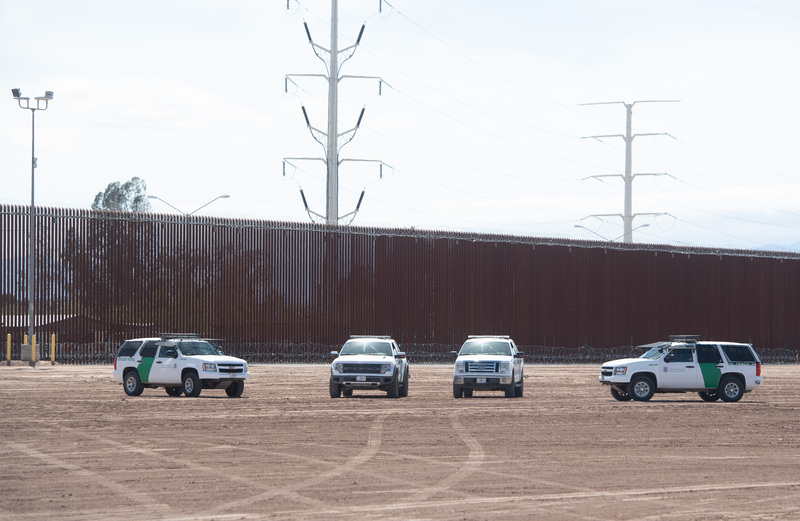 The surge came during the partial government shutdown that began late December, further indicating that Trump’s Latino base strongly supports the construction of a border wall.